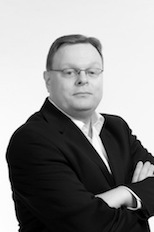 Frank Schulz as Owner of the company has embarked on his executive search career in 1999 when he joined Deloitte & Touche in Duesseldorf/Germany. In 2003 he joined Transearch International in Japan, and in 2006 Kienbaum Japan both located in Tokyo. Since 2013 he owns Frank Schulz Human Capital Consulting K.K. His search experience includes middle, senior and executive management positions for European and Japanese companies in Europe and Japan. Frank holds a Masters Degree in Japanese Studies and Political Science from Ruhr University Bochum/Germany and is fluent in German, English and Japanese.